1. The Lord is close to the broken-hearted because broken hearts find it easier to see need of him. 2. I posted something earlier this week about how Christians think they are going deep when they talk about art and culture but I think they are going deep when they talk about things like plumbing and accounting. I said this, not because art and culture are not needed topics, but because they are easy topics. Straight lines between theology and art. But plumbing? Accounting? The vocations we need but are never really celebrated – when we are tracing those lines, then we’re thinking deeply. 3. The King of Kings does not flinch because of an election. 4. Two weeks from today till Sean and I are reunited with Robert, Pete, and Leah. 5. With all the contempt the NFL has shown towards those who exposed CTE, do you really think they would care about a player involved in domestic assault? 7. I miss my palapa in Cancun like a fat kid misses cake. 8. We do need songs that sound like quiet flowing streams. But we sure as heck need songs that sound like Apocalypse. 9. Work that dehumanizes participates in the Fall of man. 10. I miss sitting under a palapa with Bethany in bathing suit. Hi Matt, I echo Anna. Can you explain number 8? I ask ’cause I was a fan of a Christian Rap group named Apocalypse in the late 80s/early 90s. Very obscure. Curious what you mean? Something with punch. 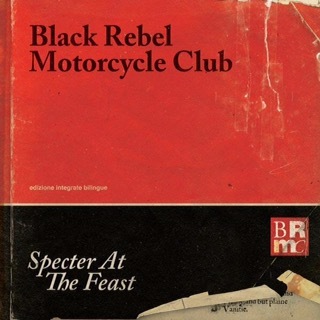 Black Rebel Motorcycle Club. Springsteen. The final 6 Cash albums.